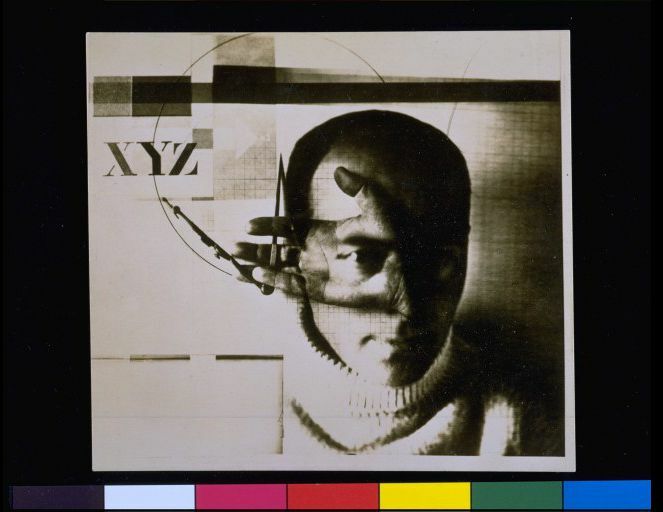 Monochrome photograph (silver gelatin print) of a collage of lithographic and drawn elements added to a photographic image. 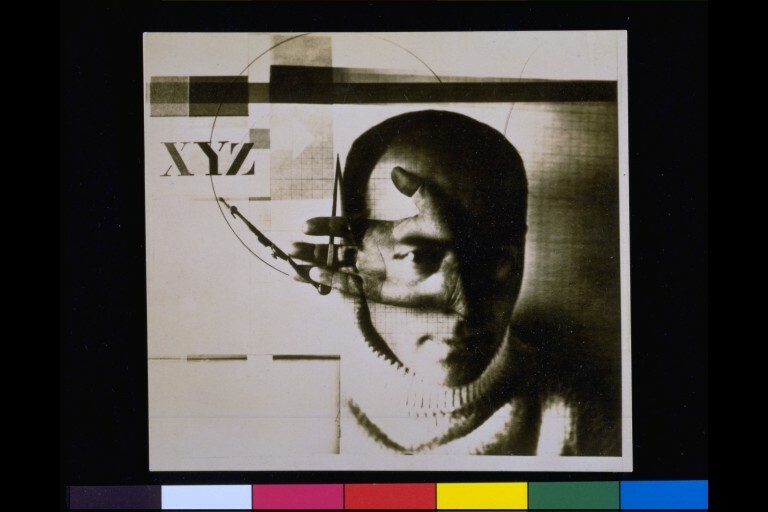 The photographic image was itself produced by superimposing two separate photographs : The Architects Equipment (showing El Lissitzky's hand holding a compass against graph paper with an arching line) and his Self Portrait, both taken in 1924 while Lissitzky was recovering from tuberculosis in a Swiss sanatorium. The resulting image fuses the artist's head, hand and tools. 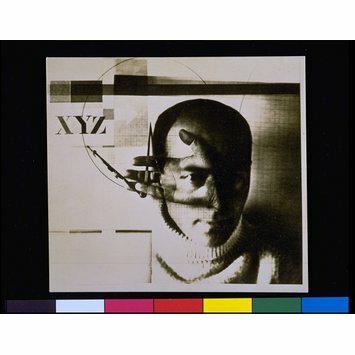 Large printed letters 'XYZ' appear in the top left hand portion of the image. Ute Eskilden et al. De lo humano: fotografía internacional, 1900-1950 Málago: Museo Picasso Málaga, 2008. 256 p. ISBN: 9788493490140 / 8493490148 / 9788475068190.